Let me share the excitement of the cover for Saxon’s Bane, from the very talented artist Clint Langley and the team at Solaris. Rather than enthuse about it myself, (well I would, wouldn’t I?) I’ll also share the observations from an online community of writers and agents, some of whom have been part of my own writing journey ever since Saxon’s Bane started to take shape. ‘Perfect! … dramatic and classy. There’s a sinister feel to it and an impression of today (from the road) and history. Stirring, evocative, all the things a cover should be. I’d grab it if I saw it on the table! 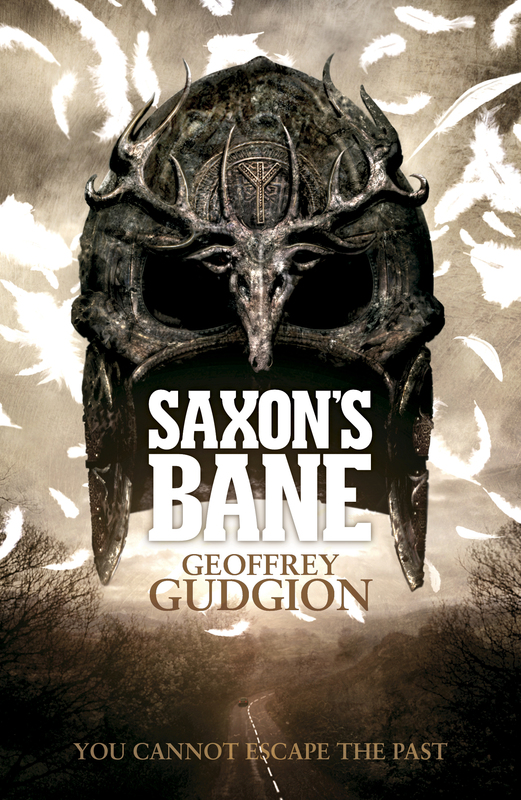 It has a darkly beautiful feel … this absolutely would make me pick up and buy Saxon’s Bane. It says to me that it’s both historical and contemporary. Anglo-Saxon. Pagan. Powerful. That’s fabulous I can’t wait to get my paws on a copy! I’d definitely pick it up. The cover puts a shiver down my spine and says modern/historical/edgy/scary mix. Oh I like it. It says hardship and violence and a good story. Saxon’s Bane will be released in the UK and USA, in print and ebook formats, in September 2013. Geoffrey: Wonderfully dark and exciting. The helm lures you right in! Thanks, Clifford. I hope Gideon’s Angel is breaking all records. I’m so much looking forward to reading this. I hope we’re camped somewhere suitably atmospheric in September, so I can read it in an appropriate setting. Find an ancient landscape, with mossy trees; the kind of place where you can shut your eyes and inhale a mighty peace.